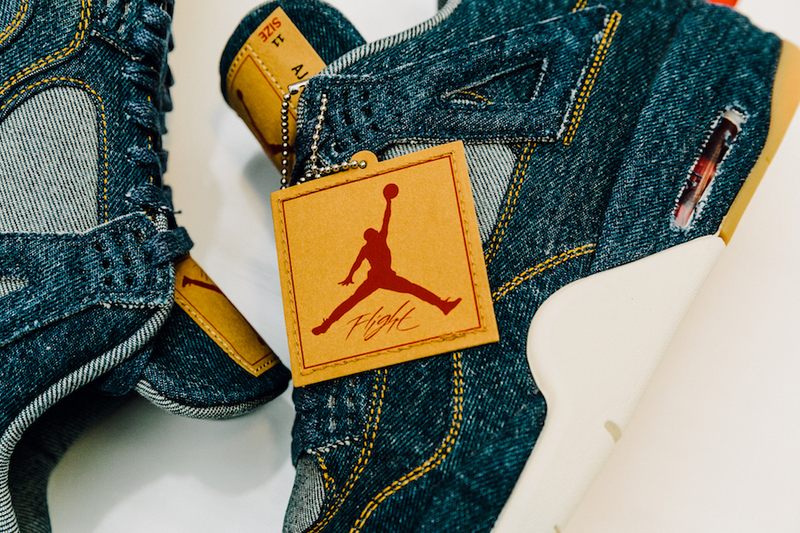 Jordan Brand has officially unveiled their collaboration with Levi’s, which includes the the Air Jordan 4 and Levi Strauss & Co. denim Trucker Jacket. 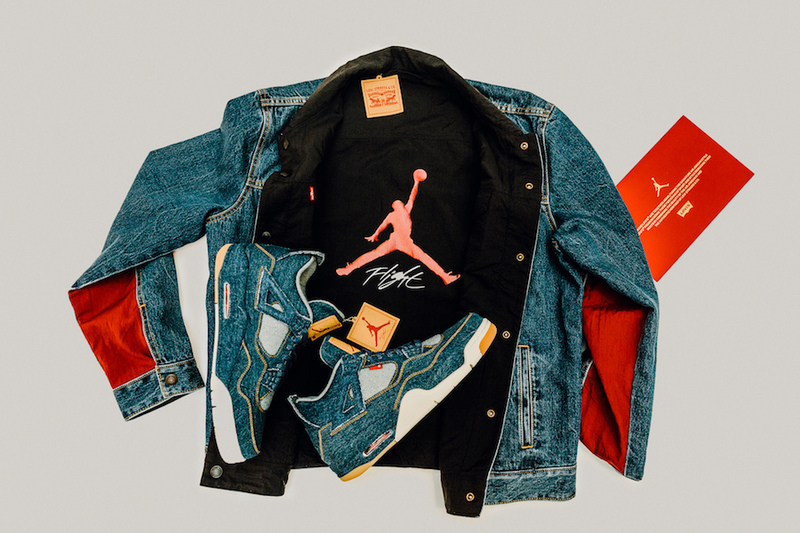 The Jordan Reversible Trucker Jacket brings together classic Levi’s craftsmanship, Flight Suit-inspired wings details and standard Levi’s and Jordan branding throughout. Featuring worn denim, red Flight Suit material is stitched into the underarm panels while the back features a lightly distressed Flight logo. When reversed, you get a Black flight suit with a denim accented collar and a Jumpman Flight logo on the back. The jacket is finalized with co-branded dark-copper shank buttons and the classic paper patch on the back hem and attached tag. 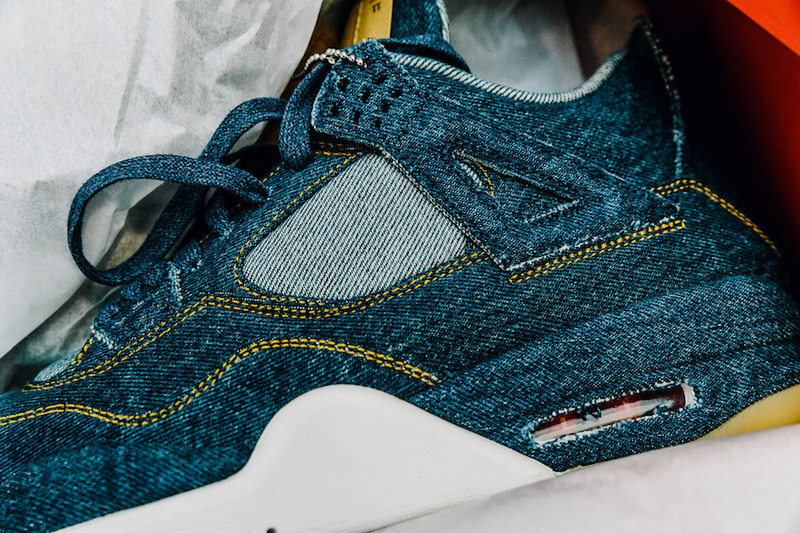 Look for the Levi’s x Air Jordan 4 to release on January 17th with a matching Jordan Reversible Trucker Jacket at select retailers listed below. The retail price tag is set at $225 USD and $180 USD for the jacket.